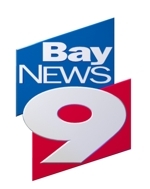 Today I was featured in an in-depth piece on Bay News 9 on the housing boom happening in Tampa Bay. Wondering what your home may be worth in today’s hot real estate market and if now is the time to sell? Find out in 15 seconds. Click here to see Liane’s Bay News 9 Feature!